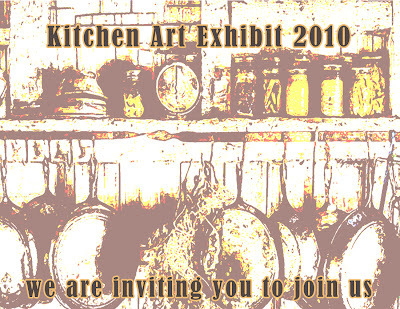 The Negros Cultural Foundation is inviting all artists and photographers to join the Kitchen Art Exhibit 2010 at Balay Negrense, Silay City. Initial meeting will be on September 29, 2010 at 2PM at The Negros Museum. The foundation together with the two main museums in Negros, Balay Negrense and Negros Museum, is currently gearing up for this event in response to the Department of Tourism’s appeal to promote food tourism in the country. For this year’s Cinco de Noviembre celebration, artists and photographers are encouraged to join in selling their works with the theme focused on Food and Kitchen. Artworks or photographs are to be sold between 5 pesos to P 5,000. Interested artists, photographers and individuals who want to join the exhibit are kindly asked to communicate with Paolo Fortaleza of The Negros Museum: 4334764 / 7085080 / 4319451 / 09166737798 or visit us at negrosmuseum.blogspot.com. If you would like more information about this topic or schedule an interview with a NCF representative, contact us at these numbers: 034 4334764 / 7085080 / 4319451 / 09166737798.